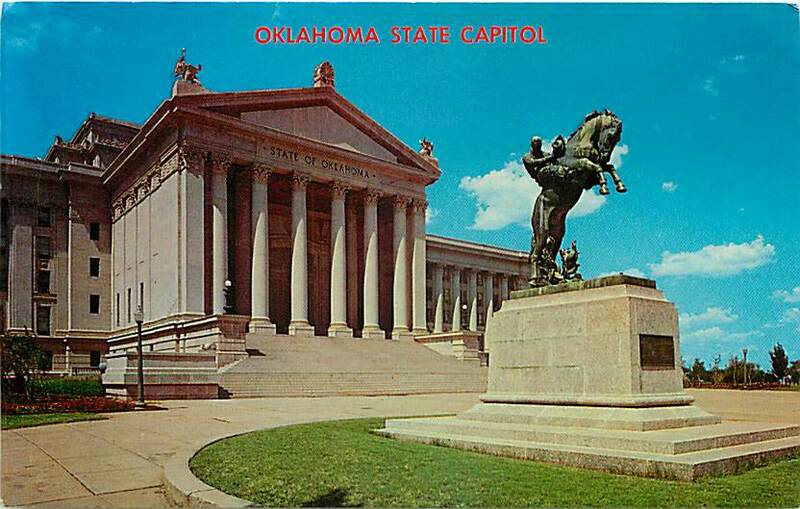 The Oklahoma State Capitol was constructed in 1919. 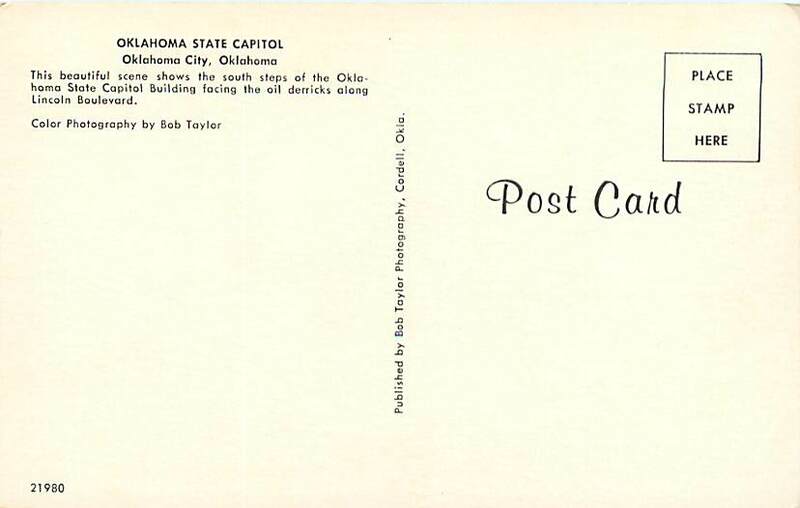 This postcard appears to be from the 1960’s. It is before the dome was added to the capitol during the 1990’s. Approaching 100 years old, the capitol is in need of renovation. Won’t happen this year as the House killed the measure for bond financing in May of this year.